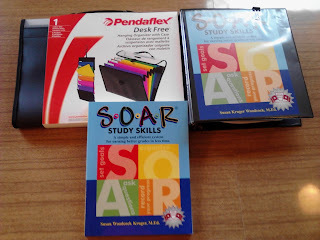 Susan created StudySkills for students to apply strategies to school work! While in school she struggled even when she studied for a test. Her grades did not reflect her effort and often gave up. Susan was a new college student. When she was taught how to apply strategies for her school work. She was introduced to “study skills,” after that her grades increased to a 3.9 GPA. After that she has been teaching, tutoring, and authoring programs designed to help students to learn. StudySkills programs give students more control over their academic and and personal lives to be successful. StudySkills has articles for parents to help them with topics that include: When children struggle, ADHD, career preparation, managing home and more. StudySkills has articles for educators that will help them understand how to gain strategies to help students by improving education, critical thinking skills and more. StudySkills has articles for students to help them manage how to get ahead by organizing, study tips, taking tests,time management and more. 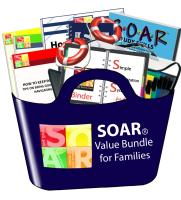 The Soar Value Bundle for Families will help give you a help in hand. Students should know strategies how to help them succeed in school. StudySkills has methods how you can acheive better grades in less time. I'll use the method for my son to progress in school. I want my son ahead of other students. I'll teach my son how to organize, focus and understand StudySkills. Hopefully he will not give up on school while attending it. Visit StudySkills to find out what products better suits your needs here. Everyone needs help understanding how to progress in less time. To view information on Soar Value Bundle for Families visit them here. To find out how StudySkills can give you ideas to do better in school. Connect with StudySkills on Facebook and Twitter. The StudySkills is sponsoring the Blogorama Bonanza Back 2 School 2012 Event. The event starts August 20th at 12:00 AM. Come back at 12:00AM to enter to win a Soar Value Bundle for Families.